Original BMW OEM Thermostat, for quality assurance and 100% reliability. Make sure you keep up on this important preventative maintenance item! High performance cars like the M3 should always have there cooling systems looked after regularly and the thermostat is no exception. 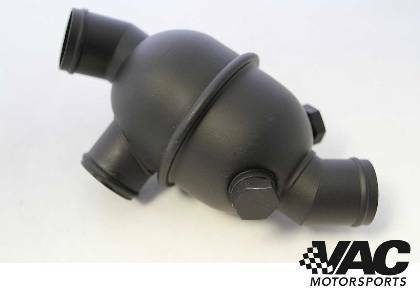 This easy to service item keeps your engine's cooling system running at it's peak. Neglecting such an item can cause break downs and/or permanent engine damage.